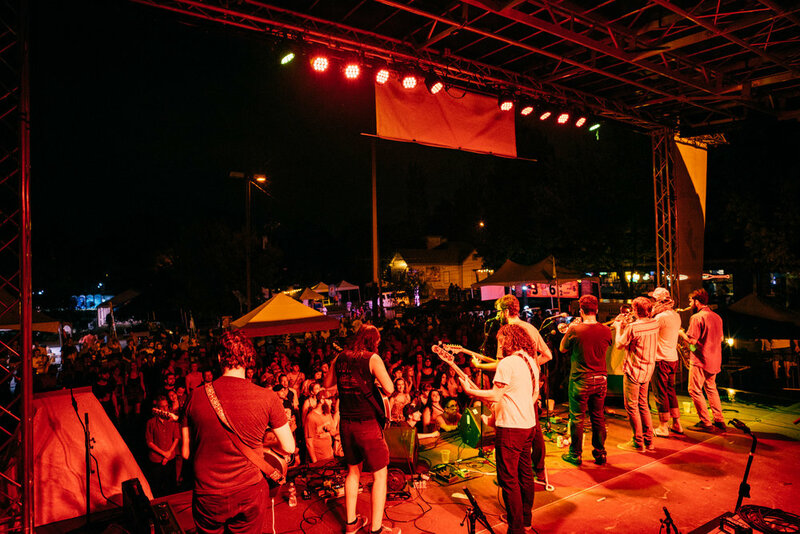 The Fest and official kickoff events are free to attend and wide open to the public, uniting the community for an day of inspired art, wacky contests, great live music, unique vendors, creative kids activities, favorite local food trucks, and a commitment to ensuring that the fest is green in every possible aspect and maintains Nashville and community traditions. We couldn’t be more honored to have some of the most interesting and unique vendors to come out of the South at Tomato Art Fest. See the full list of Sponsors and check out the Vendors who will be at this year's Fest! Coined by Budget Travel Magazine as “Nashville’s version of New York’s East Village," historic Five Points in East Nashville is the perfect gathering place for a day of fun. Mentioned by Nat Geo Travel in "Best Summer Trips of 2017." Featured in Southwest Magazine's "93 Days of Summer." Touted in the Oxford American, and Southern Living's "One of the 5 things you need to know in the South right now." Voted “Best Festival” in the 2007-2018 Nashville Scene Reader’s Polls.